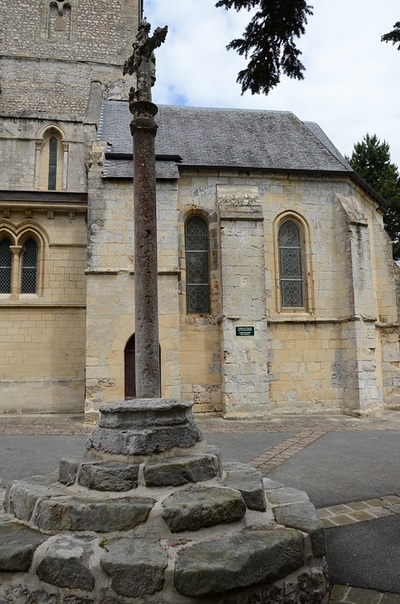 Veulettes-sur-Mer is a coastal village and commune 41 kilometres west of Dieppe, and 10 kilometres west of St. Valery-en-Caux. 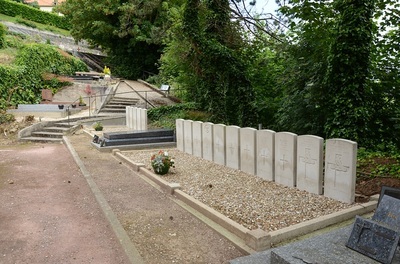 It is on the D.79 coast road running west from St. Valery-en-Caux. 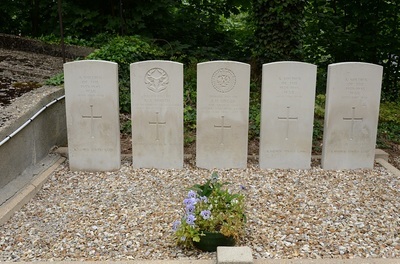 The War graves are near the east end of the churchyard. 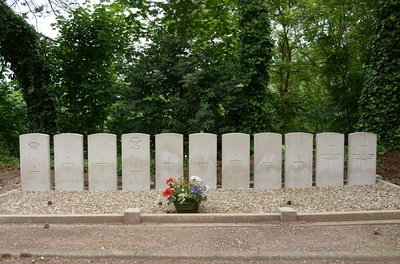 There are 16, 1939-45 war casualties commemorated in this site, of which 12 are unidentified. 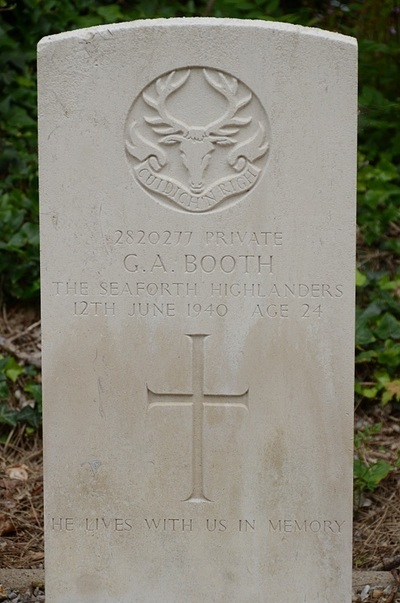 2820227 Private George Alexander Booth, 2nd Bn. Seaforth Highlanders, died 12th June 1940, aged 24. Son of George and Williamina Booth, of Thurso, Caithness-shire. 818503 Gunner Michael Devoy, 202 Battery, 51 Anti-Tank Regiment, Royal Artillery, died 10th June 1940, aged 28. 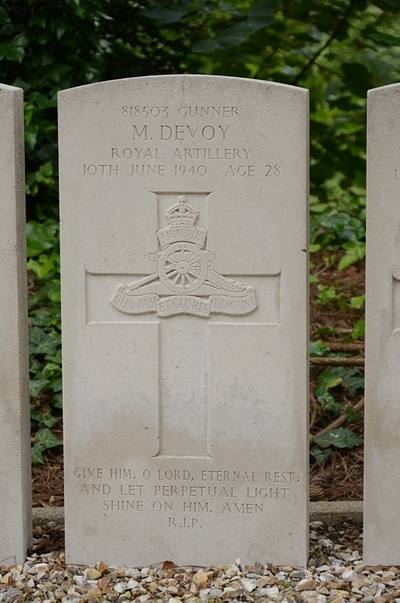 Son of Michael and Annie Devoy, of Carnelon, Falkirk, Stirlingshire; husband of Isabella Devoy, of Camelon. 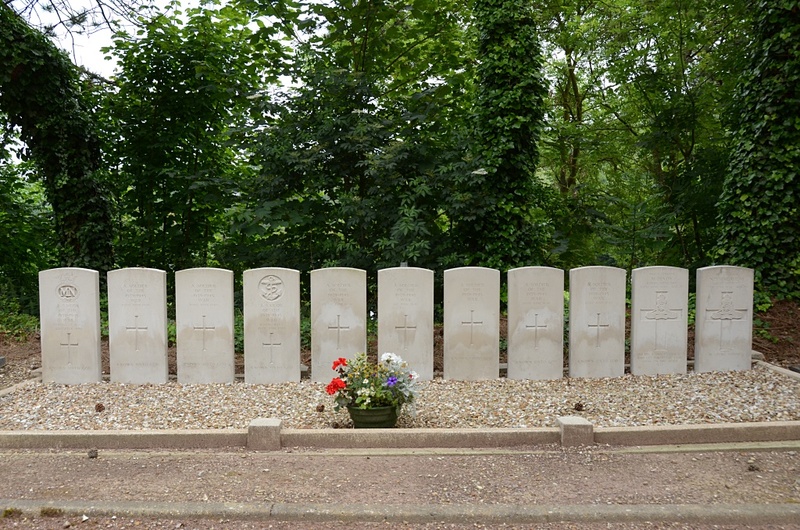 1464639 Lance Bombardier Neil Donald MacAulay, 203 Battery, 51 Anti-Tank Regiment, Royal Artillery, died 12th June 1940, aged 22. 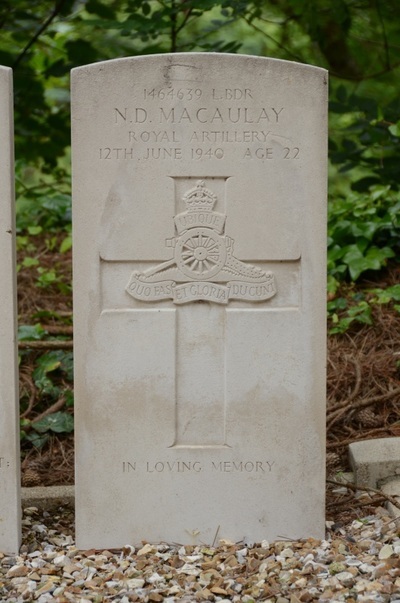 Son of Angus and Mary MacAulay, of Stornoway, Isle of Lewis. 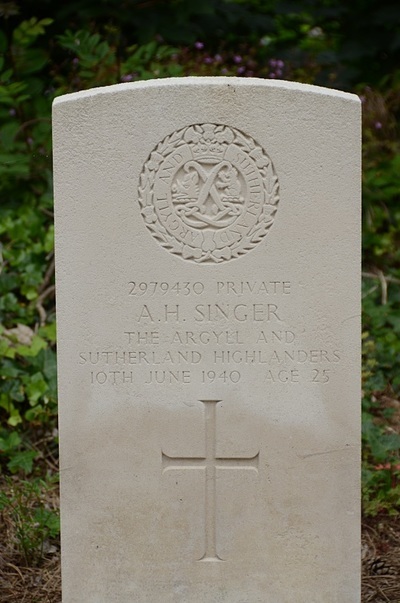 2979430 Private Alfred Henry Singer, 8th Bn. Argyll and Sutherland Highlanders, died 10th June 1940, aged 25.